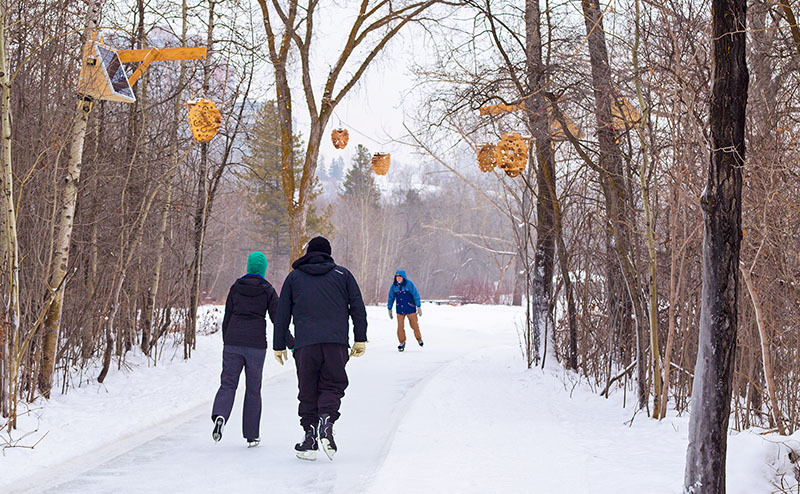 Edmonton’s River Valley provides citizens and visitors the opportunity to enjoy the outdoors year-round. During the winter months, many activities can be enjoyed including outdoor skating. There are endless options for family-friendly skating experiences in the River Valley from IceWays looping through forests to shinny ponds and table land ice surfaces. River Valley Parks and Facilities is looking to develop a 20-year strategic plan for outdoor ice surfaces in the River Valley. This will include a vision and a comprehensive review at year 10 of its lifecycle. Purpose: Develop a 20-year vision, areas of focus and identify priority objectives for River Valley ice surfaces within each strategic area of focus. Stakeholders and the public will provide input to REFINE the draft vision and areas of focus for Edmonton’s River Valley ice surfaces. Considering the draft vision and strategic areas of focus, stakeholders and the public will provide input to ADVISE the City about priority objectives for River Valley ice surfaces. Purpose: Finalize 5, 10, and 20- year priority objectives to align with each area of focus and develop an implementation plan including the identification of key partnerships to help advance the strategy. Stakeholders and the public to provide input on how the City can REFINE the draft 5, 10, 20-year priority objectives. Stakeholders will provide input to ADVISE the City on opportunities for partnership, and other forms of collaboration regarding implementing the draft 5, 10, and 20-year priority objectives. Activities: Public engagement sessions (details below) and stakeholder sessions. Over the years, various new ice surfaces have been built during the winter months in the River Valley. The River Valley ice strategy will include a 20-year strategic plan for outdoor ice surfaces in the River Valley. It will assist in performing a comprehensive review of the current ice surfaces, provide recommendations, and create an implementation plan for future ice surfaces in the River Valley. Explore how stakeholders can be part of implementing any proposed changes to River Valley ice surfaces.